Doig+Smith are delighted our Edinburgh Office won the Edinburgh Chamber of Commerce Business Award for ‘Developing the Young Workforce’ last night. The team have been involved in many programmes and events in order to help the younger generation develop within the workforce. This includes conducting lectures at Napier University, involvement in University Open Days, partaking in Edinburgh Council’s Jet Academy, Undergraduate employment and also student mentoring. 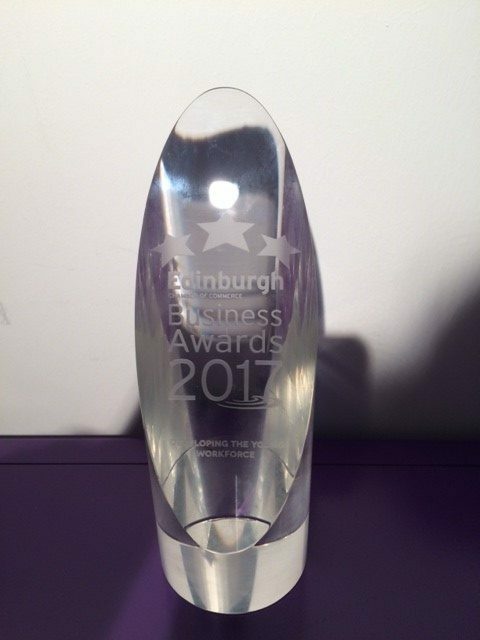 The Edinburgh Office have worked hard to achieve this award, as we do company wide and this is great recognition for all their efforts.